There were a lot of puzzles and mysteries in ancient Egypt, many of which are still unclear today. Want to find yourself in one of these ancient pyramids to see everything with your own eyes?Then join the game, clear the pyramid, and discover all the secrets that are hidden behind it. 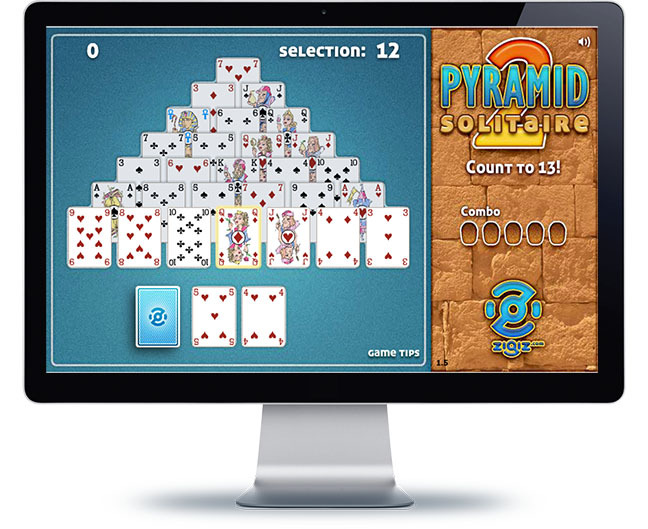 The main goal of this Solitaire is to remove all the cards from the playing ground with the combinations of 13 points. The rules are simple: the more combinations you have the better, as your points will increase with every combination you make. With each combination you combo meter will rise, from 1.5 to 5 times. An if you cleared the deck, you will earn 100 times the value of your combo meter. If you clear the pyramid you will get 200 times the value of your combo meter.